Villa Park was known as “Mountain View” in the 1860s. The U.S. Post Office refused to allow the local post office to be called “Mountain View” because there was already a post office with that name in Northern California (city of Mountain View), so the new local post office and the area came to be called Villa Park. 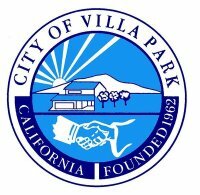 Villa Park was originally an agricultural area producing grapes, walnuts, and apricots before citrus became the major crop for about 60 years. Citrus ranchers and their families molded Villa Park into a vital community and organized its incorporation to save it from what they felt were the unwelcome zoning practices from the eastward-moving city of Orange. These ranchers established the Serrano Water District, which still provides Villa Park’s water to its residents. The population of Villa Park had a population of 5,812 as of the 2010 Census.